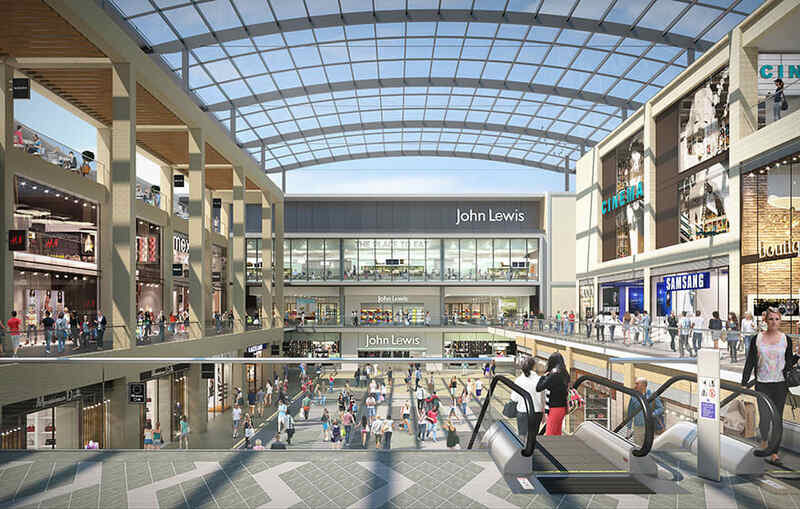 BIM was a vital tool for the coordination of five architects ­– BDP, Panter Hudspith, Allies & Morrison, Dixon Jones and Glenn Howells – to ensure that the £500m Westgate shopping centre in Oxford won planning permission. 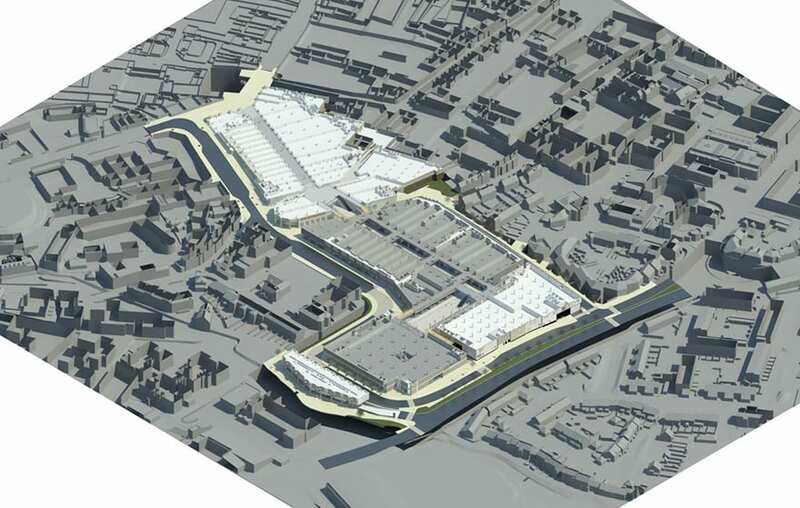 Building Design Partnership (BDP), the first firm to be certified BIM Level 2 compliant under BRE Global’s Business Systems Certification scheme, is masterplanning the 5.6 hectare retail development to the south west of Oxford city centre. The project’s clients, Crown Estate and Land Securities, had a requirement that BIM would be used across the project and BDP acted as the BIM coordinator. Managing four other architectural practices that were each responsible for a block in the development, BIM was essential to coordinate and maintain the consistency of the design and plans. 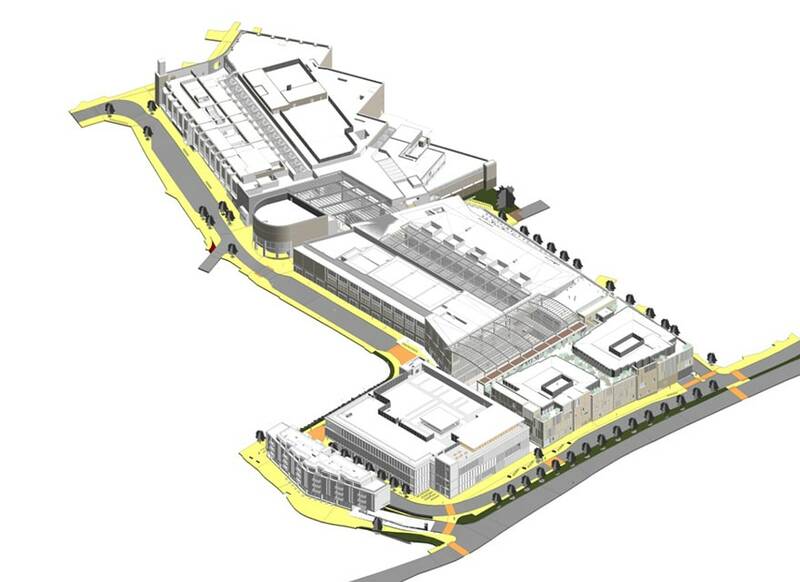 Massing for the masterplan was developed in Revit with BDP supplying the initial model along with all of the BIM protocol documents to the four other architects to work up detailed designs. Two of the architects, Dixon Jones and Panter Hudspith, had never designed a project in BIM so there was a steep learning curve. “A significant challenge was integrating and coordinating models from the other architects to achieve a consistent masterplan. Some of the architects were just beginning to use BIM and so we helped them to implement the software and provided rigid protocols to assist and to ensure consistency in output,” says Trevor Pool, BIM manager at BDP. Weekly uploads meant that each of the architects were constantly aware of what the other parties were doing, which led to a very coherent design from a very early stage. This also led to a cohesion with the project’s common elements – the public sections between the buildings – as BDP’s architects could gain a thorough 3D understanding of the intersections between the buildings from the model. “Often if you are acting as the masterplanner you have to piece together two-dimensional drawings created in many different software packages from each architectural practice. Working with the same software meant we could compare models and exchange information much easier,” explains Neil Hayward, BDP’s overseeing architect. “Exchanges of information also focuses everyone involved and enables the teams to explore the three-dimensional architectural relationships and context at an earlier stage,” continues Hayward. Due to the scale of this project and its location in historical central Oxford, gaining planning was potentially going to be difficult. The project’s timescale also demanded that design took place alongside the planning process. BIM proved to be a valuable tool in ensuring that planners were kept well informed throughout the process, with drawings extracted straight from the BIM model. Although created by five different architects, these drawings were presented in a uniform format, with a shared language as everyone was working in Revit. Not only did this lead to coherent drawings, it also removed the need to redraw each of the four elements to present the entire scheme. 3D views could also be exported directly from the model allowing planners and the public to gain a clearer understanding of the scheme. To produce the 10 verifiable views demanded by the planners the BIM model was exported to a specialist visualiser. This model was then positioned within images of the city, meaning that when changes to the design occurred the updated model could be sent to the visualiser and new views produced much quicker. Planning was won in December 2014 with construction set to start on site later this year. BDP is in the process of packaging up all the information and models from each of the architects to be handed to the contractor. As the overseeing architect BDP will continue to monitor the progress by receiving copies of the BIM model to ensure the scheme’s plan and height, as well as other key elements, are maintained.